All classes meet Tuesdays, 7:45-9:45 PM ET. All webinars recorded. Click here to see payment plan options! Want a discount? Become a member by purchasing NLFN Membership - Tier 3 - Platinum, NLFN Membership - Tier 2 - Gold or NLFN Membership - Tier 1 - Emerald! 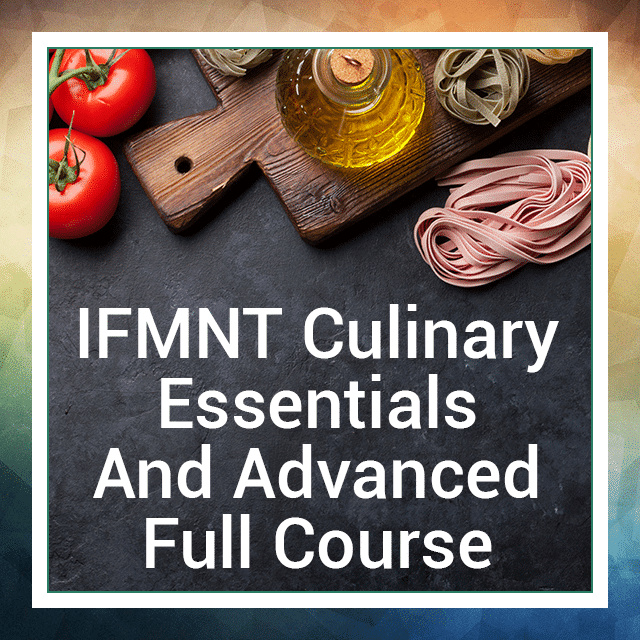 Purchase both the Culinary Essentials and the Advanced Culinary Course at the same time and save! Private Facebook group to network with your IFMNT culinary peers. Pinterest board exclusively for class participants gives loads of recipes to use with your clients! Ask about Culinary alumni pricing for those wanting to repeat the series to get updated content. Series extends over 5 months to allow for easy incorporation into your busy schedule.